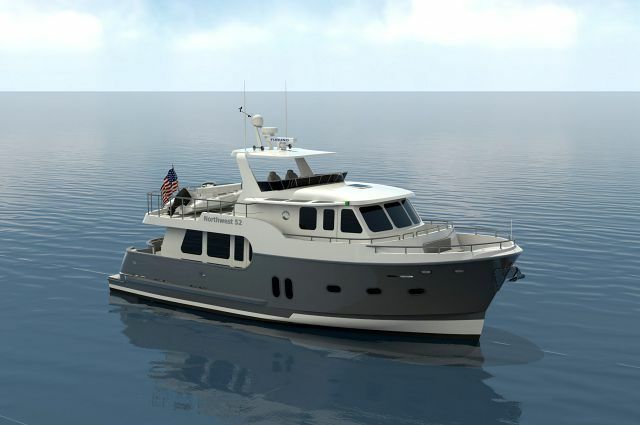 The Northwest 75 twin cockpit motor yacht is the flagship model of the Northwest Yachts fleet and to say she is impressive is a gross understatement. 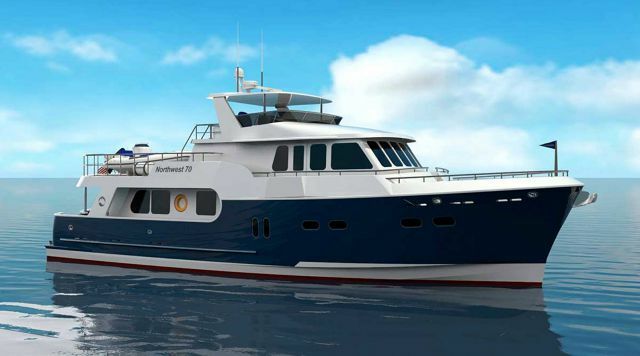 Everything that an owner of a trawler motor yacht or an expedition yacht desires from safety, hull and deck strength, economical fuel efficiency, superior handling, and luxurious accommodations inside is found standard on the Northwest 75. And with two cockpits built into the layout, the opportunities for relaxing or dining outdoors are abundant. The interior of the Northwest 75 is perhaps the most impressive with luxury appointments throughout that satisfy even the most discerning yacht owner. The master stateroom boasts a king-sized berth with a Handcraft pillow top mattress and a hydraulic lift under the mattress to access storage spaces underneath. There is a center island with drawers as well as two hanging lockers for extra clothes on extended journeys. The master head is inside the stateroom and features Corian countertops and sinks with Grohe fixtures. Nearby the VIP stateroom, also complete with its own head, has a tapered queen-sized berth with the same hydraulic mattress platform and storage spaces. The third guest stateroom on board additionally has its own private head and features two single berths. There is also a captain’s cabin in the pilothouse as well as a pilothouse head. Powered by twin MAN V8 1000hp engines, the Northwest 75 will achieve a top end speed of 20-knots, which makes this expedition-style yacht competitive with all similar yachts in its class. 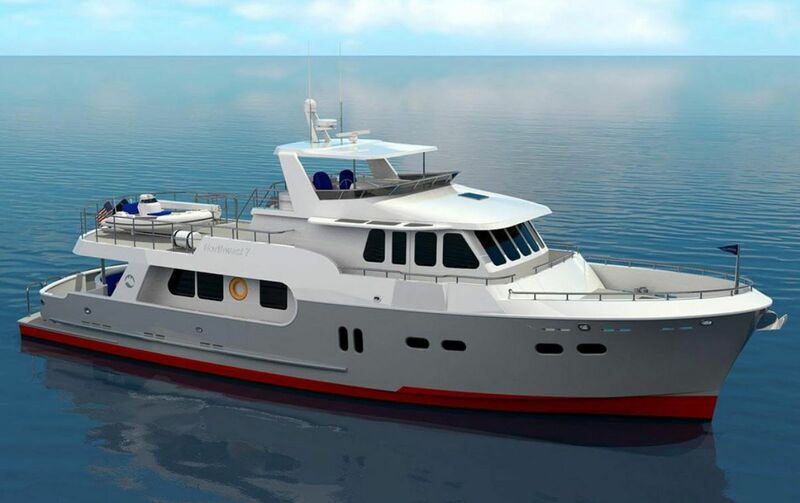 When cruising at 10 knots with extra fuel reserves and the genset running, owners can expect a range on the Northwest 75 to be around 1,200 nautical miles. 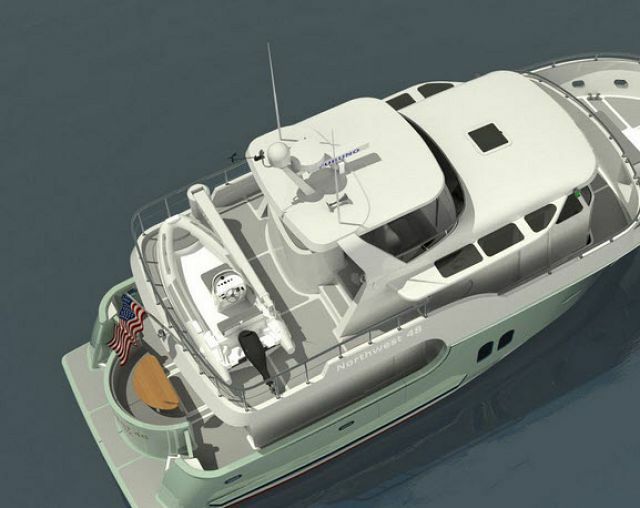 Contact your Seattle Yacht Sales Professional today to learn more about the Northwest 75 Twin Cockpit Motor Yacht.